New Delhi: Natco Pharma and its partner Alvogen said they have settled patent infringement suit with Gilead Sciences Inc and others over Tamiflu, in a US court. “Natco Pharma Ltd and Alvogen have settled the patent infringement suit filed by Gilead Sciences Inc, Hoffmann-La Roche Inc, F. Hoffmann-La Roche Ltd and Genentech Inc… in New Jersey District Court,” Natco said in a regulatory filing. “Under the terms of the settlement, Natco’s partner Alvogen will be able to market the oseltamivir phosphate capsules before the expiration of the pediatric exclusivity period listed… which is February 23, 2017,” it added. In 2011, Natco had challenged Gilead’s patent on Tamiflu (Oseltamivir Phosphate) alleging that Gilead’s patent on the drug is invalid. 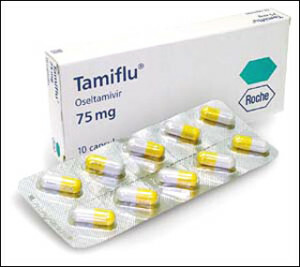 Tamiflu was developed by Gilead, which receives royalties on the drug’s sale from Roche Holding.